We know that it’s important to build our students’ vocabularies. And we know that talking about words here and there isn’t enough. But how do we decide exactly which words to use for vocabulary instruction? 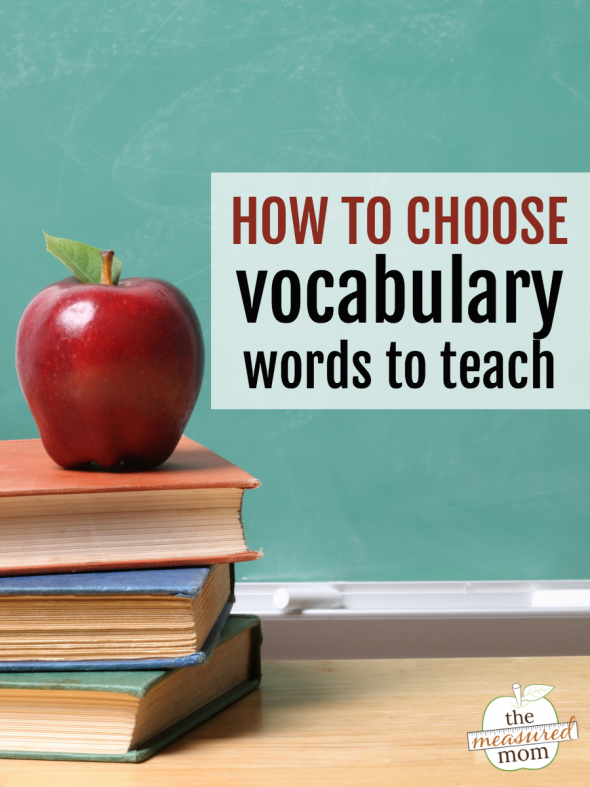 How do you choose which vocabulary words to teach? I wish I could tell you this question was easy to answer. I wish I could wave a magic wand and the perfect word list would instantly appear in your hands. No, choosing vocabulary words isn’t easy, but it IS possible. Before we dive in, let’s talk about the context of these words. When are you going to teach them? How often? For the purpose of this post, I am referring to daily vocabulary study with the whole class. After all, choosing words for content area study isn’t so hard. You simply look at the bold print words in your social studies or science curriculum. And choosing words for small group reading lessons isn’t terribly difficult, either. Usually the teacher’s guide will highlight words for you to teach. What if you are committed to systematic vocabulary instruction – spending at least 10-15 minutes each day on word learning? If this is your goal, I want to stand up and applaud you. The last thing I want is to see you stranded because you don’t know where to begin. So let me give you some strategies for choosing those vocabulary words for whole-class study. 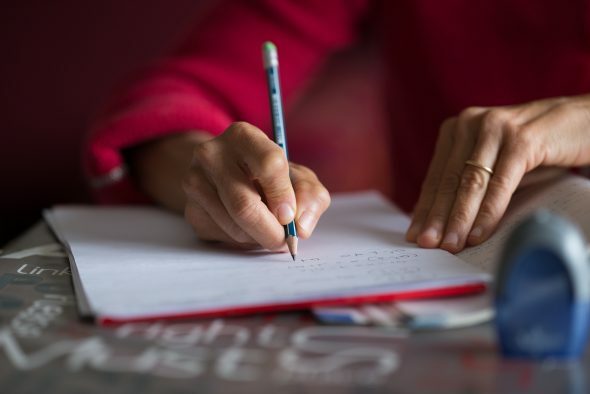 1 – Page through a text you will be using with your learners and jot down potentially difficult words. For example, if you’re doing a whole class novel study with fourth graders, you’ll want to choose words from that novel. 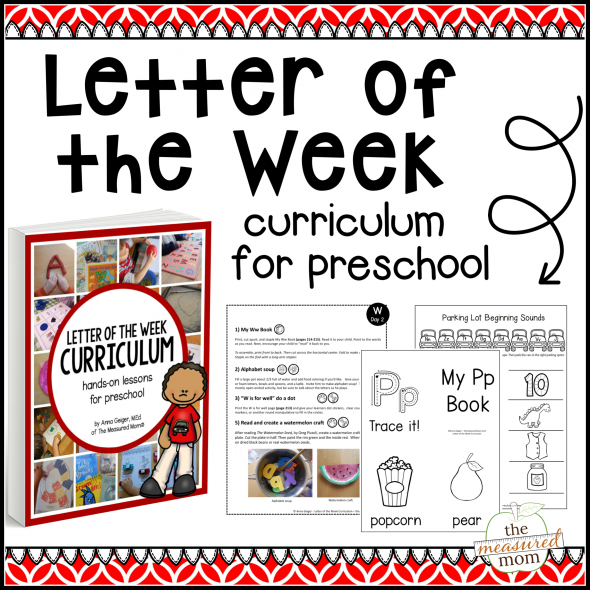 If, on the other hand, you’re teaching kindergartners, you’ll want to jot down words from a word-rich picture book that you’re going to read aloud. Similarly, if you’re reading Charlotte’s Web to your second graders, you can choose the week’s words from the chapters you expect to read that week. *Note: Ideally, you would choose words from literature, as it’s best for vocabulary instruction to begin with a familiar context. However, I won’t tell you that it’s wrong to choose 5-10 words each week from a variety of sources. If this is your preferred route, simply page through the grade level reading text or a book at your students’ reading or listening level. Or zip to the end of this post for links to word lists. 2 – Next, analyze those words and decide which ones are Tier 2 words. Tier 1 words are very basic words that most students do not need to be taught directly. They will learn these in everyday life and conversation. Tier 2 words are words that students will encounter as they read but not so much through conversation. Knowing these words will help our students become stronger readers and writers. Tier 3 words are content specific or extremely rare. Students benefit from knowing these words in isolated situations (such as when they are reading about blue whales) or may never encounter them even if they are avid readers. It makes sense to focus on Tier 2 words during systematic vocabulary instruction. 3 – Choose 5-10 Tier 2 words that would be most beneficial to your students. First off, let’s tackle the number of words. How many should you teach? Since you’ll be teaching these words over five-ish lessons in the course of a week, you want more than 3 words. But since you’re really going deep with these words, you don’t want too many. I’d err on the side of too few at first. Five words is a good place to start. Now, assuming you have a hefty list of words to choose from, how do you narrow it down? Choose words that your students are likely to encounter again (and often). Choose words that your students can learn to use in their own writing and conversation. In general, choose words that will help them become more literate. So this 3-step process sounds good, but how does it work in real life? Let me give you an example. That’s quite a list! How on earth am I going to narrow it down? Our goal here is the find the words we want to go deep with. Which have the most potential for meaningful vocabulary discussion, are words that my students will be able to use in reading and writing, and are most likely to be unfamiliar to them? I think it’s helpful to start by choosing words you won’t teach. Bedecked isn’t a word I see very often. I’m going to cross it off. Contagious is a good word, but I’ll bet most of my students know it. Off it goes. Interspersed is a good word, but probably not one they’re going to have many occasions to use. Strike it. This is no exact science. I could have just as easily chosen five different words. We’re not going to get hung up on choosing the perfect words. We’re just going to choose some words and get started. Join me next week for tips for teaching vocabulary in the context of read aloud. P.S. If it’s important to you to find actual words lists, they do exist. But they’re not easy to find or access. Here are some links you might find useful. A research group is working to identify the words students are most likely to encounter as they read across the grade levels. Request those word lists here. Gardner and Davies have put together vocabulary lists that you can request here. 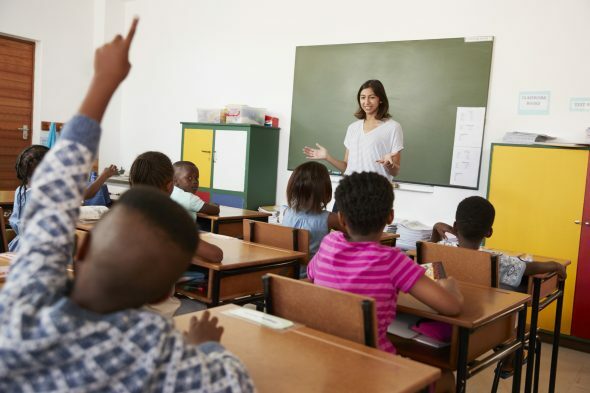 You can purchase a very reasonably priced list of Tier-2 words for grades K-12 from Mia McDaniel on Teachers Pay teachers. This is a great little article on choosing vocabulary! Thank you for the article. Since you already mentioned one teacher on tpt I feel like I can mention another one. I purchase my tier 2 vocabulary words from Miss DeCarbo. Thank you for that recommendation, Julie! Great Article.. I love ur posts. I’m so glad you like it, Trapti! Thank you so much Anna and your articles are very useful for teachers.